Being one of the regular Trulia contributors and Founding Member (a real estate website dedicated to providing buyers and sellers with advise and providing tools for realtors and consumers alike) contributor, it is of great interest to watch Trulia grow by leaps and bounds through the year. 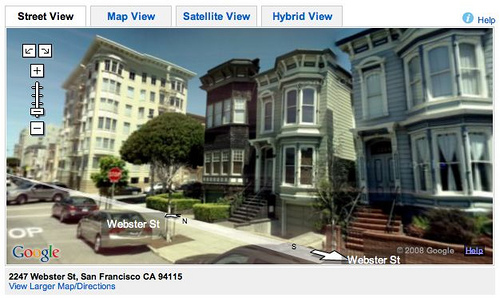 The latest innovation unveiled is the Integration of Trulia and Google Street View. There are a lot of National/International real estate sites and bloggers; after being introduced to Trulia by Frank Howard Allen technical manager (FHA is the one of the founding member of the site), I have decided to contribute to Trulia (and a selected few others) since their inception. I have had a great time giving valuable advise to consumers on the site and have learned a lot about real estate issues from many angles. I have gained great friendship with top real estate pros around the country with whom we share ideas, concerns, Q and As. The best? This endeavor and Alliance allow me to serve you better!